Isela is Research Assistant in the Centre for Robotics and Intelligent Systems (CRIS) at the University of Limerick. Isela has worked at CRIS/MaREI UL since October 2017 in operations support, project admin/management and EPE / outreach. 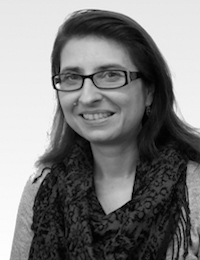 Her tasks include organisation of events and outreach activities, H2020 projects management, reporting, financial management, MaREI at UL – CRIS promotion and communications. Isela has more than seventeen years of experience in management of various international, trans-national and regional projects (FP5, FP6, FP7, Cost action, Leonardo, Eco Innovation, Intelligent Energy, LIFE, Erasmus+, Spanish and Irish national funding schemes) with focus on technical research, knowledge transfer & training and dissemination activities.